International Quilt Market is happening right now in Houston. 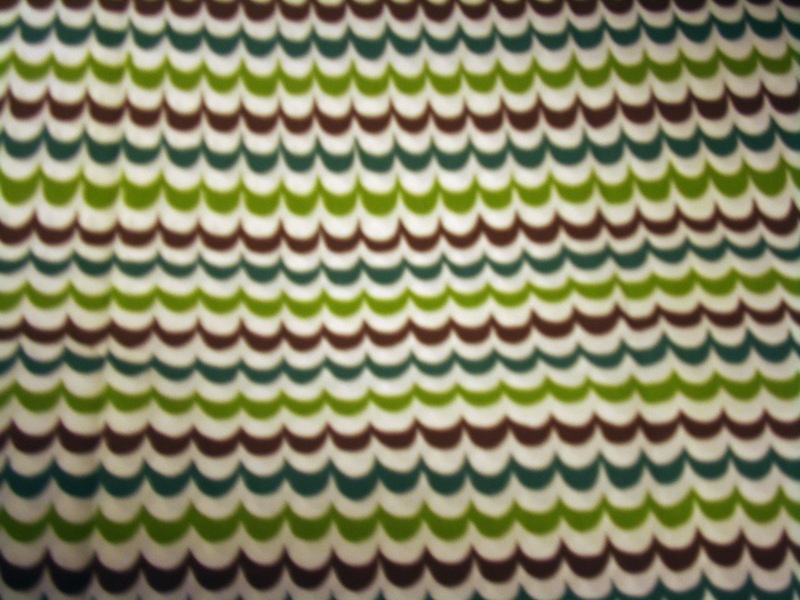 Next week I'll have snaps of my market projects I've made for RJR Fabric. So be sure to come back, I'm excited to reveal what I've been working on. covered button rings. It will really be fun. I can't wait. 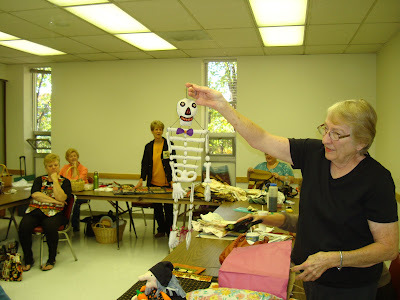 And don't forget that I teach quilt classes at Alpine Quilt Retreats. Think about coming to sew with me sometime next year. Ok. The winner of one ticket to the Quilter's Harvest is Sandy! Sandy Said: "I want to come, that would be so much fun. I live just a few miles away." Yay for Sandy. Don't forget anyone else if you mention you read my blog you get an extra button ring kit at the event. Thanks to all the gals that commented. I hope you come anyway. It will really be fun. I look forward to a great time. 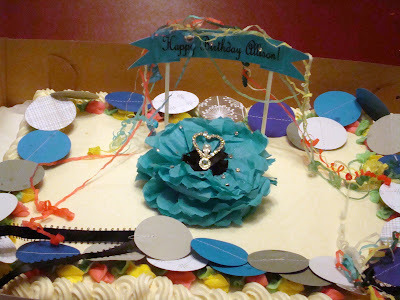 I have to show you just a few pics from Allison's birthday party last Monday. She was so cute. This is her birthday cake. She's a real princess. After eating the cake Allison got a bath (this pic is post-bath). She is opening presents. 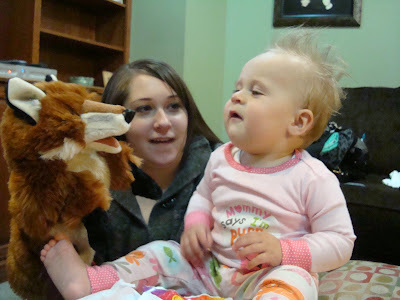 The pillow pet (bee) is from Aunt Natalie and Uncle Justin. The Sesame St. Purse is from Nanny and Pa. She really loved her presents. This is a puppet from her aunts. Allison's mom, Whitney is with her in this photo. Such a cute pic. I could go on and on, she got so many cute things. It was fun. Now onto Fabric Friday. 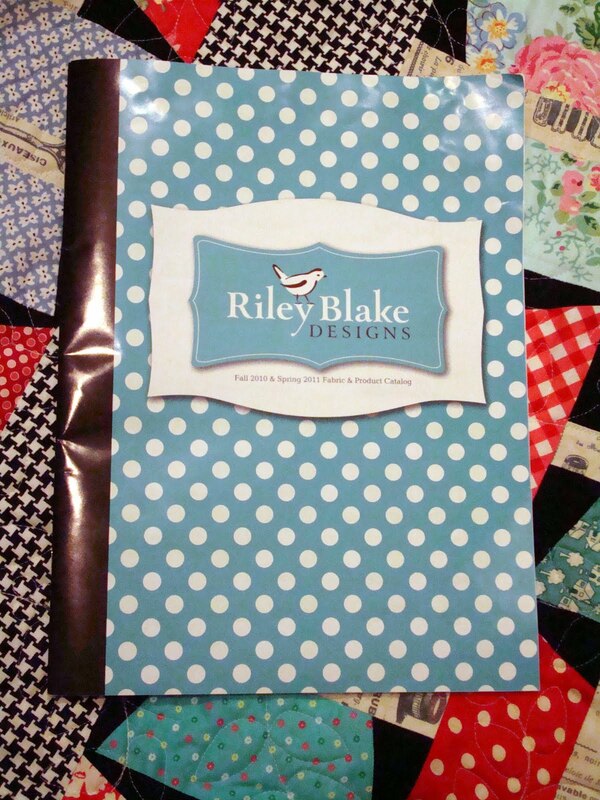 Riley Blake and Alpine Fabrics is a local company. It is amazing to have a successful, innovative fabric company just a few miles away from my house. The best part is that they involve local designers. 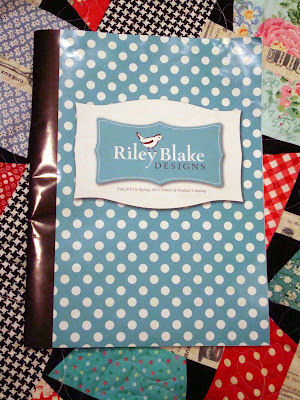 and I'm sure you probably heard by my BFF Lori Holt has designed her first fabric line with Riley Blake. Go over to Lori's blog and read all about her new line coming out in the spring. Here is a sneak peak above and she's got more photos. I'm so happy for her. 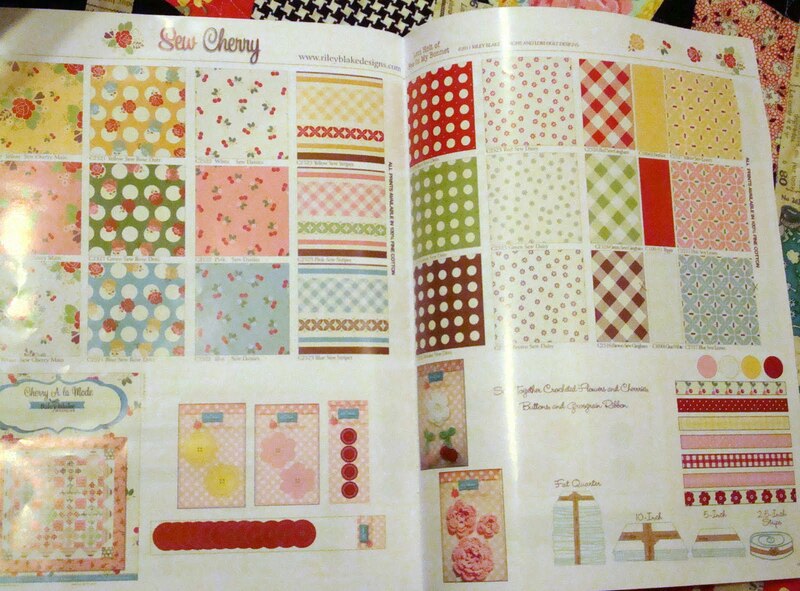 And I'm already dreaming of things I can make with her new line called Sew Cherry. 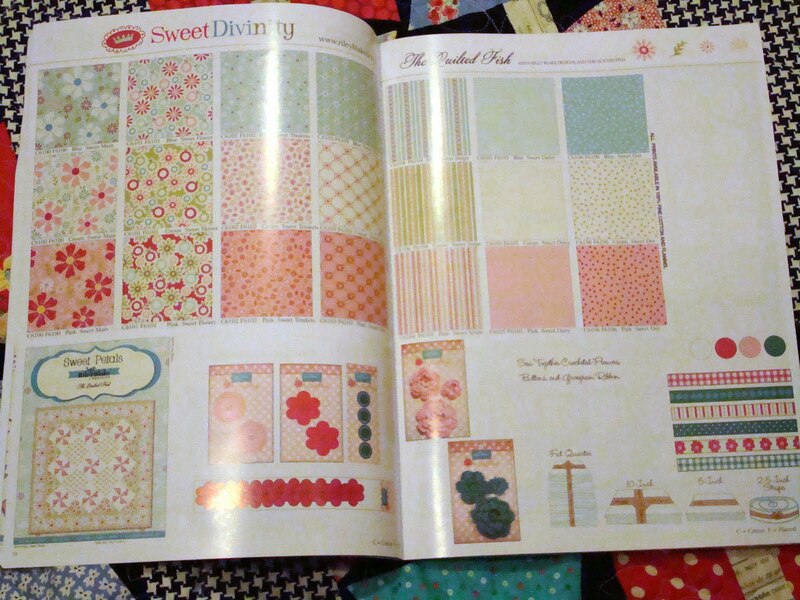 Another Riley Blake designer is Amanda Herring of the Quilted Fish. 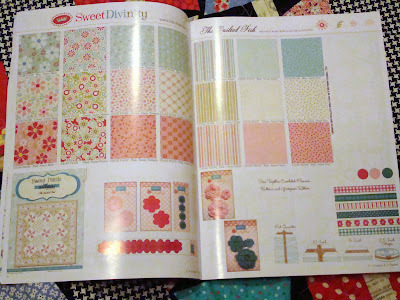 Her Sweet Divinity line gave me a great idea for a new quilt design. 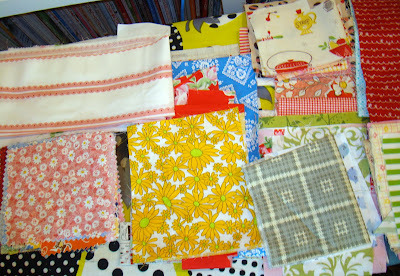 So I visited Jina at Riley Blake and brought home some Sweet Divinity fabric. 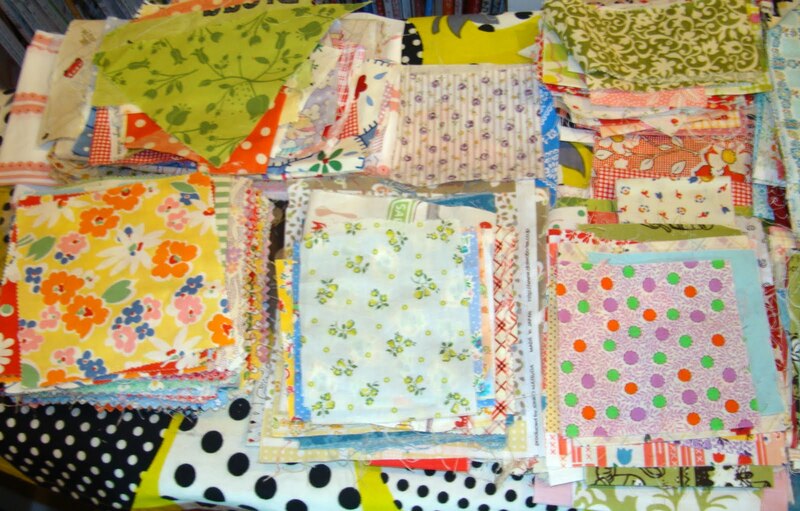 This is what my cutting table looks like right now. 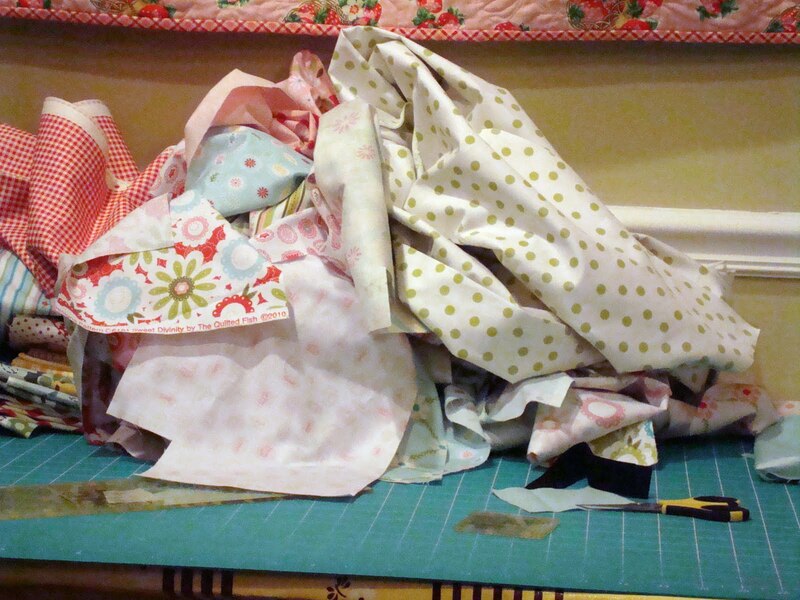 I make a really big mess when I cut fabric. Do you? 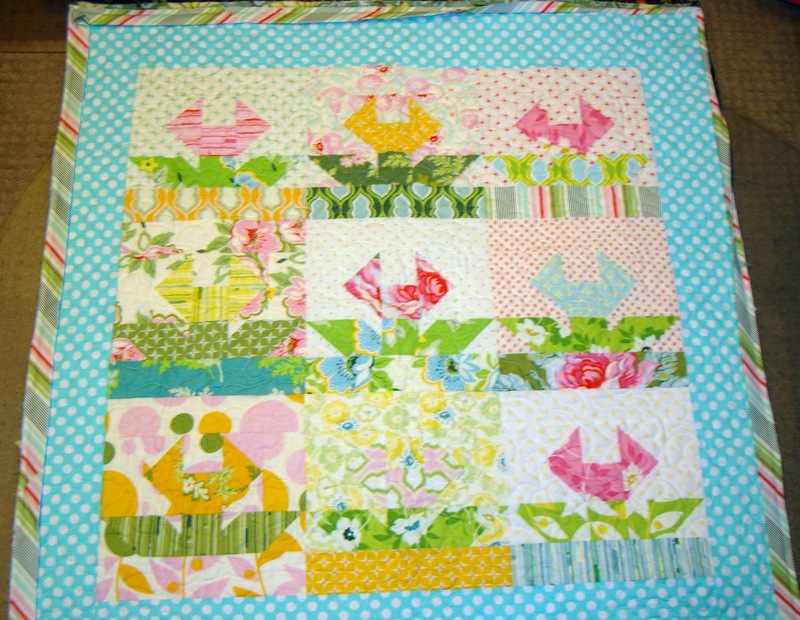 This is one of the blocks from my new quilt. This line is a slight departure for me but I really like it. I hope you'll like my design when I get it put together. It is so fun to get special gifts from friends. I always feel very humbled by gifts and things shared with me. Everyone loves a great blog give-a-way. I was very happy to win Heather's prize at her Blog Retro-Fabulous. 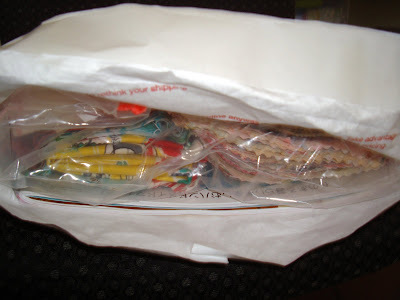 Look at the bundle of goodies Heather shared with me. Among the treats was a hand made needle book, one of my very favorite threads and these great solids. I love a new template/ruler. And this easy cut circle will definitely be used by me. I'm always looking for ways to use my specialty notions. Thanks so much Heather. I've got a lot in common with my sweet pal Aunt Spicy. She's an amazing girl and we even have mutual relatives. We'd have never found each other without blogging. 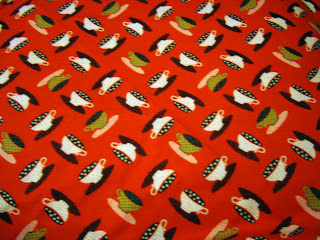 Aunt Spicy sent me this darling vintage fabric. She so gets me! 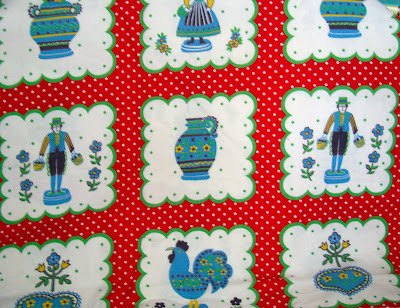 It is a Pennsylvania Dutch fabric and of course I love it. I'm from Pennsylvania Dutch country. This is a really special fabric. Thanks so much Jen. Here is me with my friend Emily of Em's Scrap Bag. Emily lives a little more than an hour away from me and she asked me to bring my quilts and give her quilt group a trunk show last week. That Emily! She made me a big treat bag. She shouldn't have! She knows me so well, she packed in some of my favorite things. Along with fabric picked just for me. So sweet. She picked my favorite objects in fabric, too. Love them. She treated me to all things Freda's Hive. Dove chocolate - my fav. 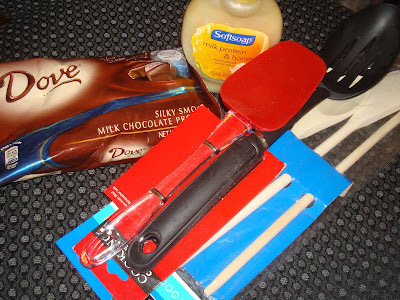 How did she know I go through kitchen tools? Thanks so much Emily. 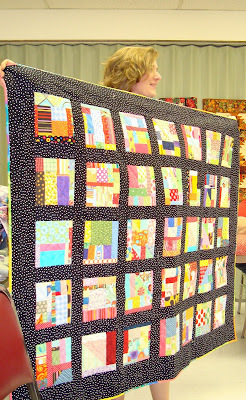 Here is Emily showing one of her latest quilts. I just love it. She used a wedge ruler. What a great way to use my wedge ruler. 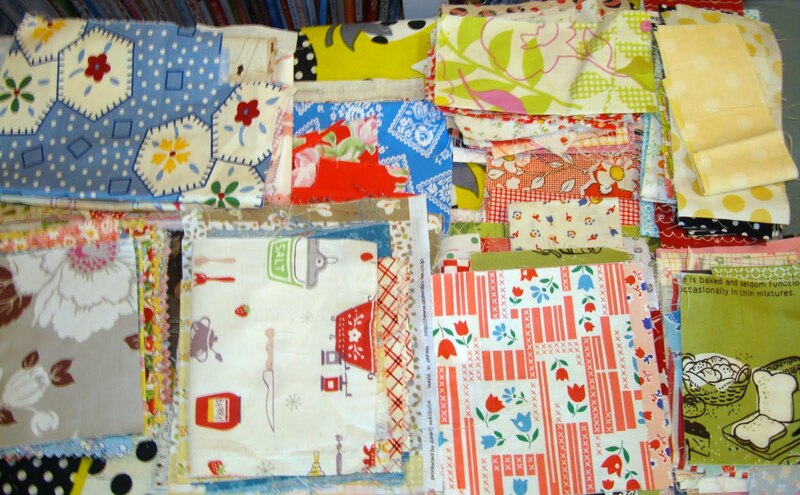 Here is another quilt of Emily's. 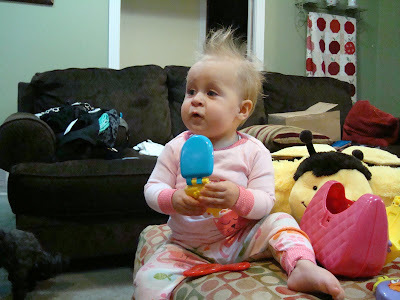 She's very scrappy - a girl after my own heart. Here are a few of the gals in Emily's group. They were so sweet and full of compliments. I really enjoyed meeting them. Good friends and fun treats. Do you live in Utah or will you be in our area on November 12, 2010? Even if you are an hour or so drive from northern Utah county you will want to pay attention to this post. And there is a giveaway attached to this post so continue reading to the bottom. 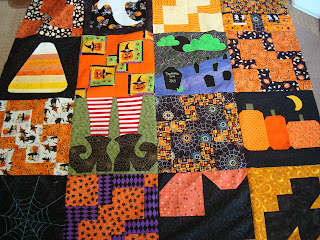 Please come meet me and join the fun in our Quilter's Harvest on Saturday November 12, 2010 hosted by Alpine Quilt Retreats. You won't want to miss the enjoyable activities and ideas for Christmas gifts and more. 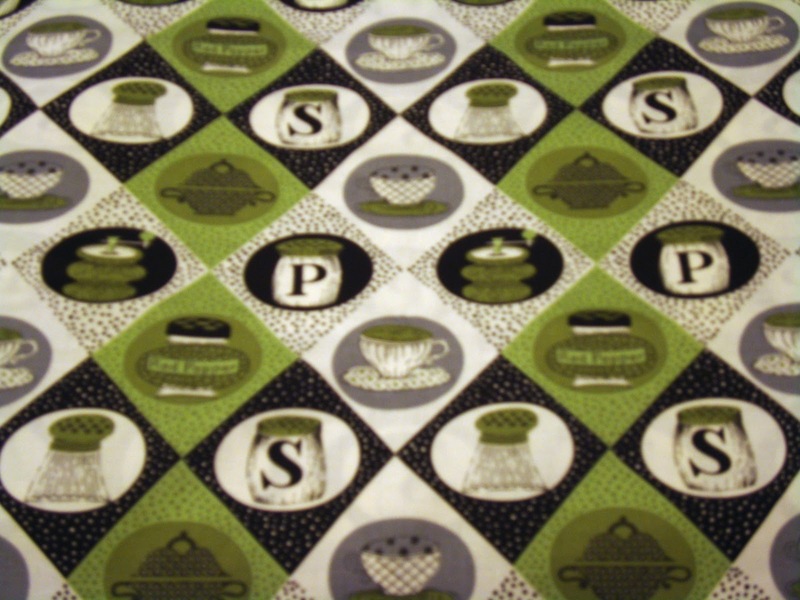 Other than Alpine Quilt Retreats, shops sponsoring our event and participating in classes are: Just Sew in Highland, Utah, Broadbent's in Lehi, Utah, The Quilting Cottage in American Fork, Utah and Dear Lizzie in Highland, Utah. Tickets are $20.00 that include all classes, supplies and treats. Space is limited for classes and events. I'm teaching in Group A and we'll be making covered button rings. They are easy and fun. 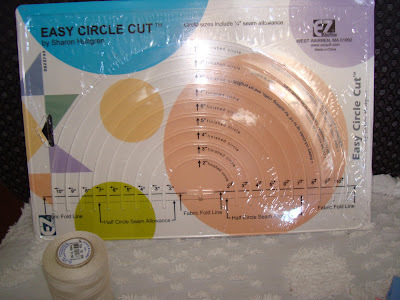 You can pick out your fussy cut object to place on the button from an assortment of my fabrics. It is a great idea for Christmas. 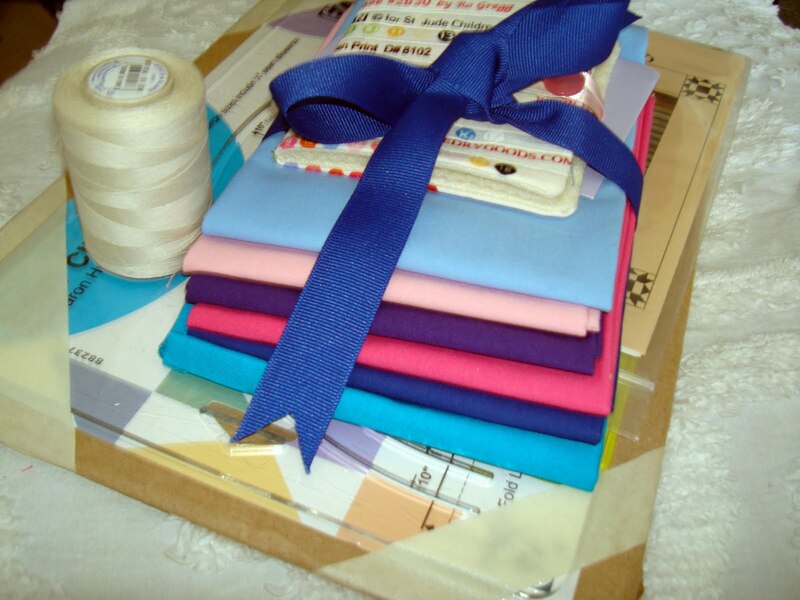 If you mention my blog to me at the class I'll give you a kit for free to make an extra button ring. I'll be teaching at the Alpine Quilt Retreat location and you'll be able to see the really lovely arrangements Syd has made for retreats and classes. 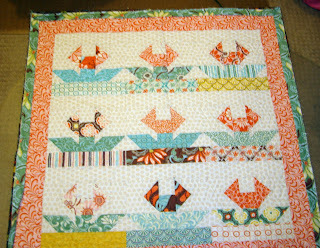 We have real stars for teachers: Laura Potter my famous chef and neighbor (you won't want to miss her cooking demo), sweet blogger and teacher Mel Lawrence, fun and talented Amber Johnson of Just Sew, amazing and wise Suzanne Lawrence from Quilting Cottage, the best applique teacher around Laurel Verhaaren of Broadbent's, and the incredible designer and quilter Amanda Herring of Riley Blake Fabric (she designs the Quilted Fish). I'm really excited to be associated with these ladies. The amount of talent in our area is astounding and these women are some of the best of the best. 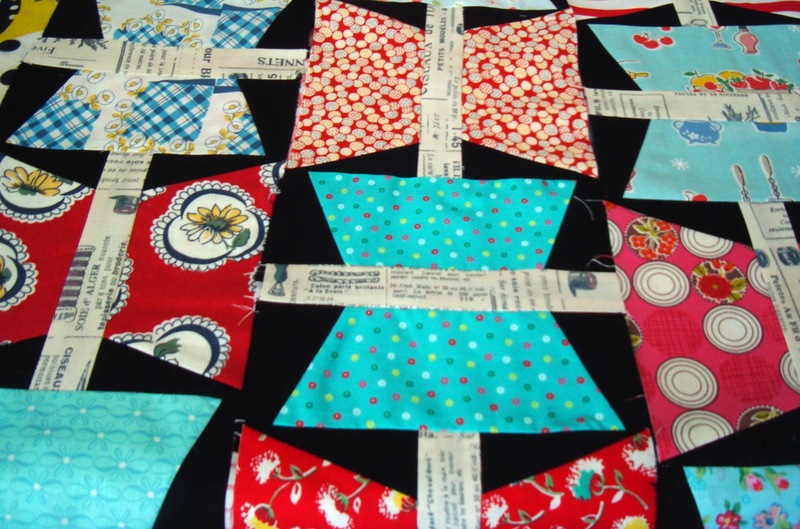 Alpine Quilt Retreats is giving away one free ticket to this event. Leave a comment saying you want to come and that you live close enough to attend and you will be entered in the giveaway. I will post the winner of the ticket on Friday. 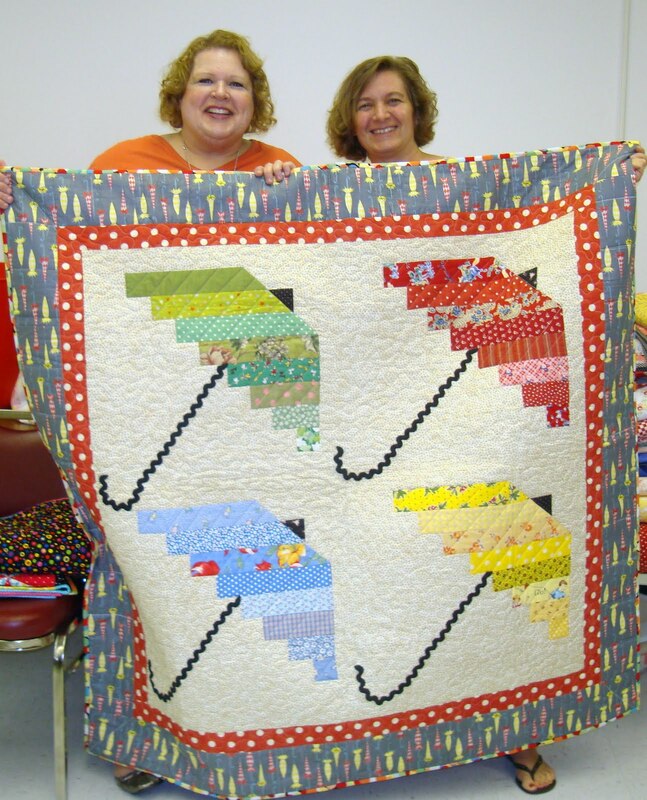 All the information, photos of projects, lists of classes and times are all found at the Quilter's Harvest page. In addition to the mini classes you can visit the quilt stores for Christmas ideas and Dear Lizzie for early shopping or just browsing. It will be a great fall day to get out and associate with wonderful women doing what we love. Happy Birthday Allison!! 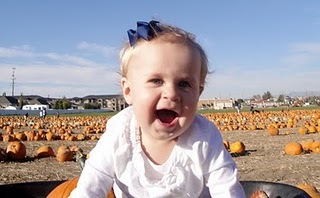 It is her first birthday today and my first year anniversary of being a "nanny" grandmother to Allison. She's a joy in every sense of the word. She is coming over tonight and we are having a birthday party for her. It will be fun. 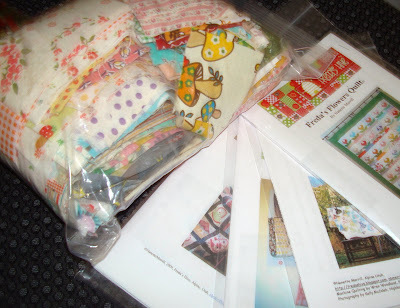 Thank You ALL so much to everyone that entered my scrap give-a-way. I read all your sweet comments but answering would be impossible. I always have this humbling feeling when I read give-a-way comments and I sincerely wish I could send a fun package to all those that took the time to comment. Sounds kind of corny and trite but it is true. I am really happy to go through my scrap bin and share with 2 of you. I managed to fill 2 bags full of scraps of fabric that I mostly love. After the amazing response I couldn't just pick one winner. 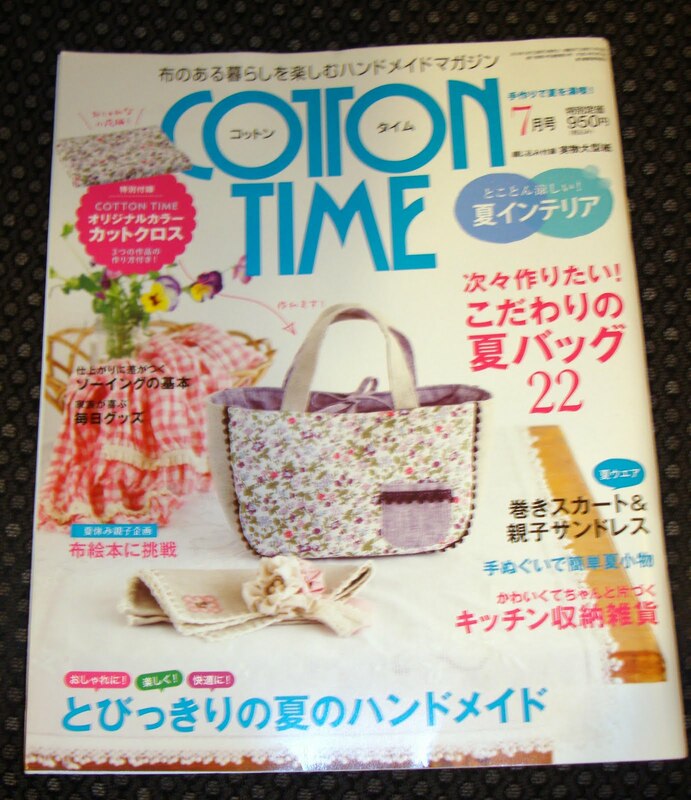 For first prize of the bigger bag of scraps and the Japanese Cotton Time magazine.....random number generator picked from 310 comments. Caro said... Would love to win some of your scraps. It's always so interesting to see fabrics picked out by another person. Thanks for the chance to win. 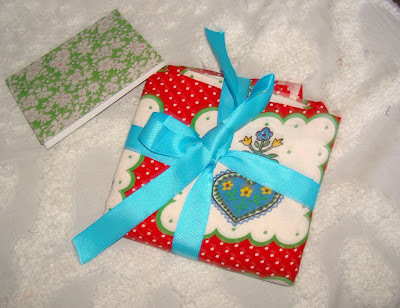 Winner #2 of a scrap bag and 4 of my patterns is.........Charmed Life said... What a wonderful giveaway. Please count me in. Both gals left email addresses (yayy) so I'll be emailing them for their postal addresses and I want to get those packages off right away to them. Thanks to everyone, again, that took time to enter the giveaway. Loved reading your little comments. And thanks to Jodi for organizing this monstrous multi-blog fiesta. 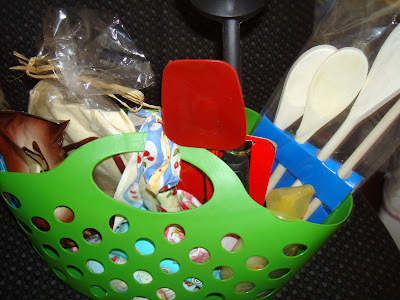 PS - if you entered all the Scrap Alongs go see the other blogs or Jodi's blog to see if you won! Have you been visiting any of the Scrap Along participation blogs? 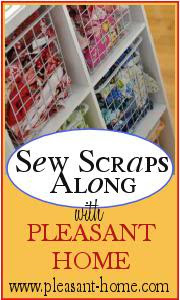 The Scrap Along is sponsored by Jodi of Pleasant Home. 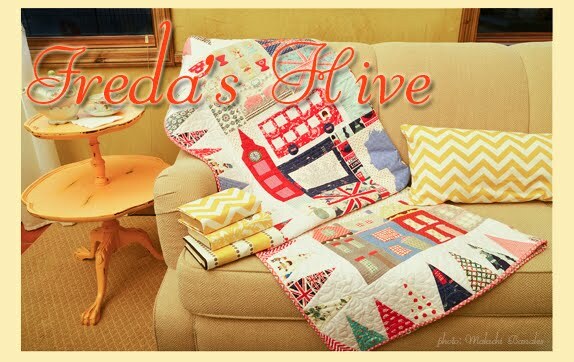 Nedra, Sherri and Lori have already posted about Scrap Along give-a-ways this week on their blogs (go visit, I think there is still time to enter). 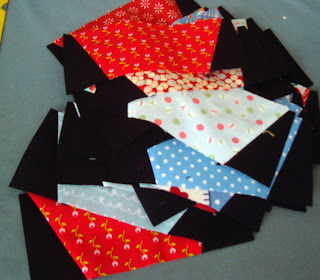 And so today is my day to post a Scrap Along Give-A-Way here at Freda's Hive. 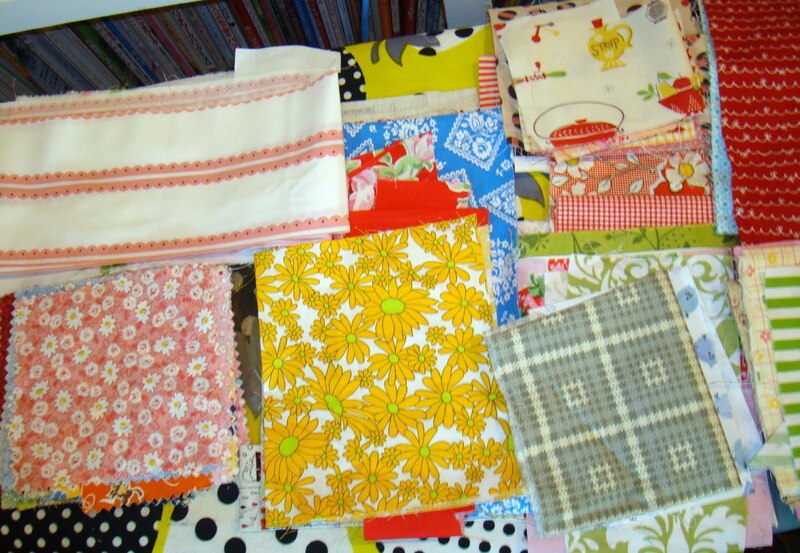 until I had filled my ironing board with cute scraps to go to a loving home. Could that be your home? Maybe. Leave a comment and make SURE that your email is attached to your comment because only those comments with emails attached can win. To sweeten the give-a-way I'm including this fun Japanese patchwork magazine. 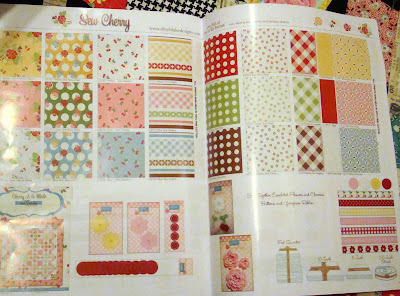 It is a great issue and is full of quilting and stitching ideas with plenty of inspiration for smaller pieces of fabric like scraps. The give-a-way ends Saturday 10/23/10. So leave a comment before midnight Saturday Mountain Time. I'll pick a winner and post it Monday morning (so no new posts here until Monday). 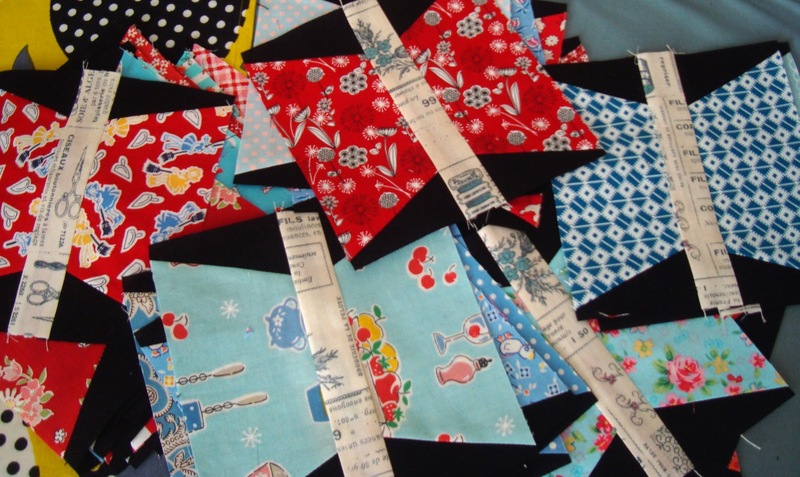 Good luck to all you fabulous quilters and fabric lovers. I officially HATE the New Bloggggerrr!!! Oh my the trouble I've seen. And today to show you what I've been through I left the last photo the crazy way Blogger made it. Not to mention I can't move things around and can't write script where I want to. Argh! Calm blue ocean...calm blue ocean. This pic is supposed to be at the bottom. And I'm sick of fighting with this thing. I know I should change venues but I have enough learning on my plate at the moment so I'll be content with complaining. 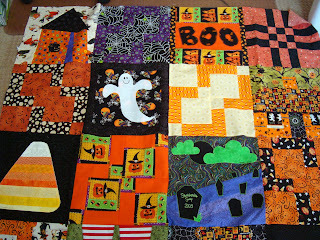 This quilt is from Jane's Halloween Exchange 2009. In some of the blocks I had to take the embellishments off previous to taking it to the quilter. 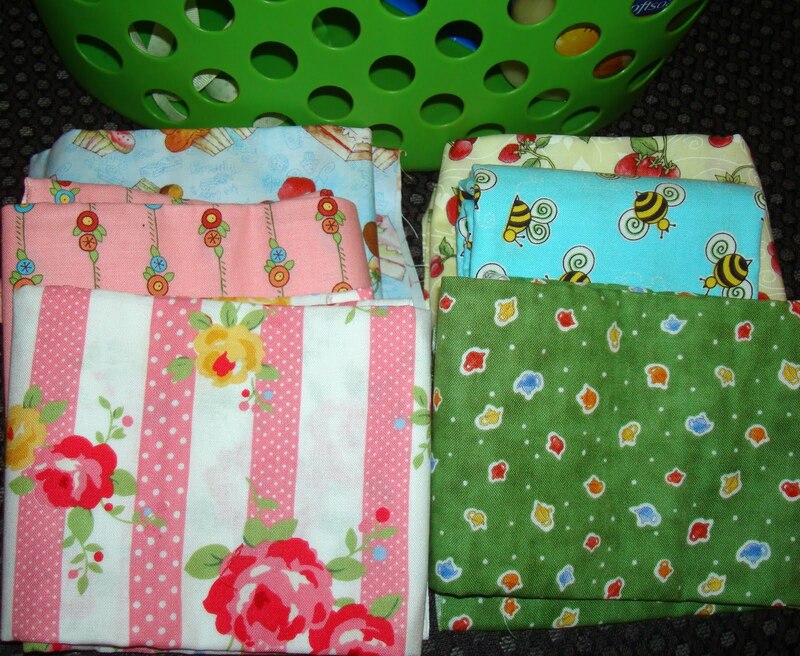 I'm saving them and they'll be back during binding. This is how I sent my blocks - mix mash. 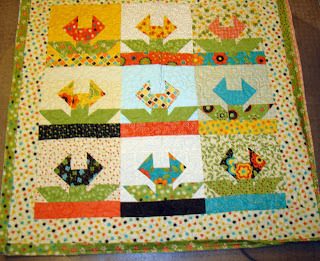 I didn't place the blocks in any set pattern and the deconstructed 9 patch are not even all set the same way. It is Halloween after all, no rules. And in the spirit on no rules I put my bat hanging upside down in the bottom corner right. I thought it would be fun to put the cat and bat next to each other, too. Since I'm not going to use this black and white for my butterfly quilt I figured it would work for this busy Halloween quilt. I hoped it would tone it down a bit. And I think it did. Not that you can tell in the next picture! I was able to sew for a bit Saturday. And so I finished making my butterflies for a new quilt. They really are an enjoyable block to sew. The whole process of Amy's tutorial is fun. I decided to go with blue and red butterflies for this project with a black background. 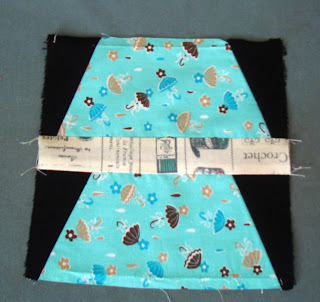 I used a vintage looking piece with words and small scissors/thread on the fabric (among other things) for the middle strip. . I had one "oops", which was easily fixed, but I had already sewed it into my butterflies before I caught it. 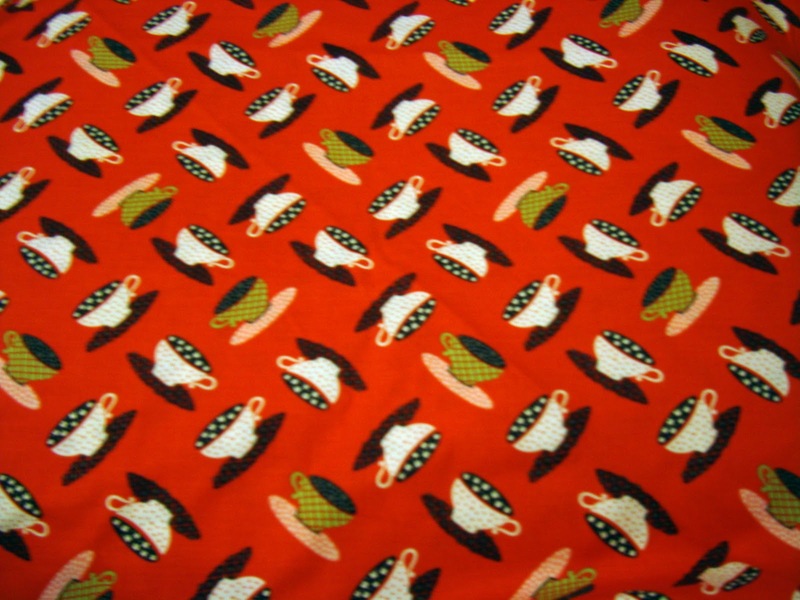 It is no secret that I love novelty and kitchen fabrics. They remind me of sitting in the large, high ceiling, eat-in kitchen of my childhood, and also remind me of the kitchens of childhood friends. 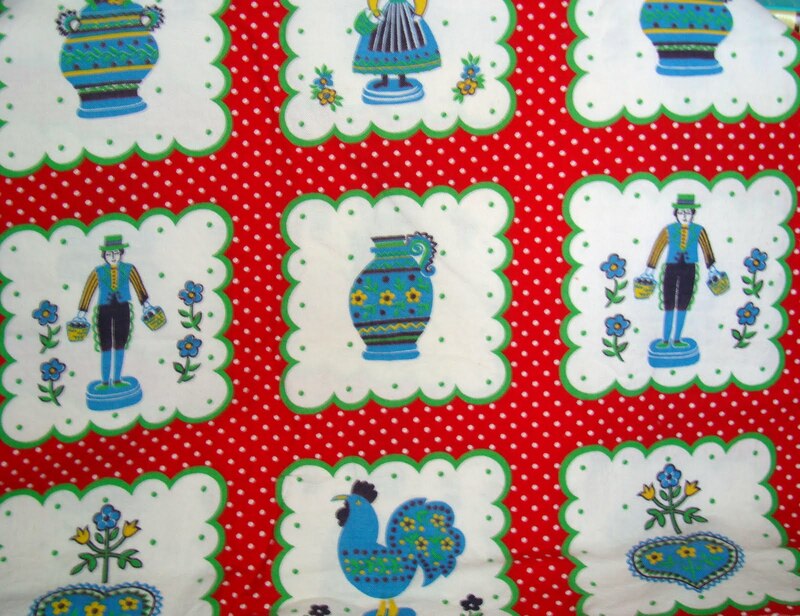 I can see wallpaper, curtains, table cloths and aprons all dancing around in my memory. That memory is so comforting and happy that it is no wonder I love these fabrics. I find the shape of cups and saucers so pleasing and classic. 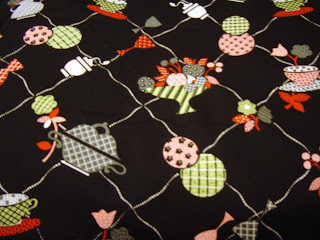 This Windham fabric is very sweet. I want to use it. Apples! I love apples, especially this time of the year. 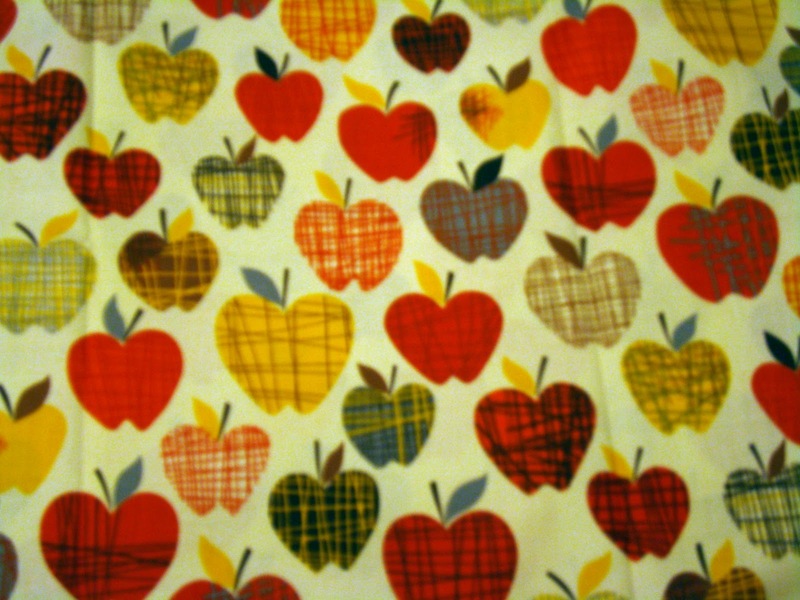 This apple fabric is some of the best apple fabric I've seen in a long time. I want to take it and cut into it and use it immediately! It is like a heart with a little cleft chin and add leaves/stem. Cute! What would novelty fabric be without accent fabric to add interest? A quilt can't be 100% novelty. I think. 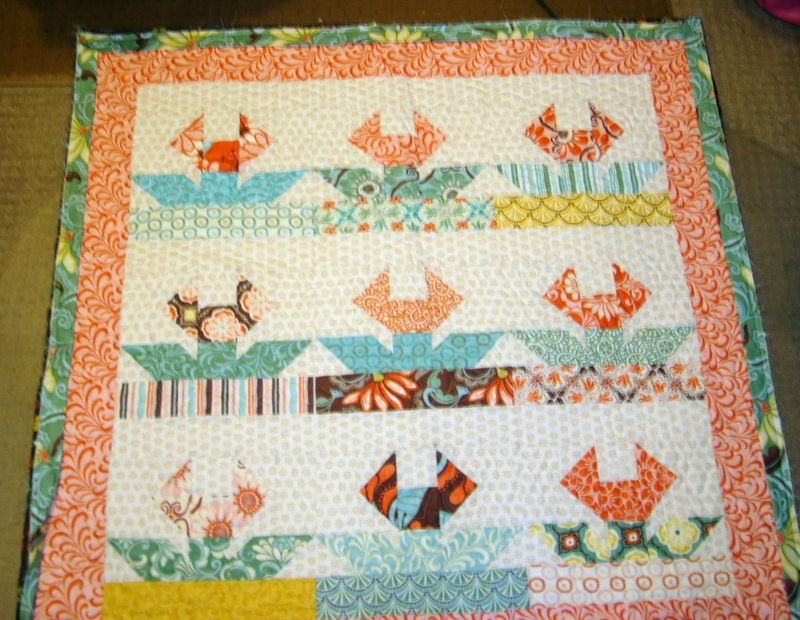 This scallop would go well with novelty fabric and be great for binding too. I love black and white. I love houndstooth. I wish I could find medium-sized quilt-weight houndstooth. 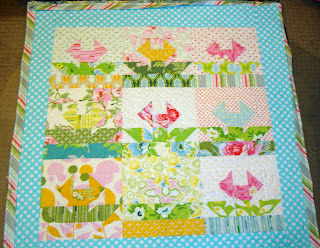 Superbuzzy had some for a while and I got fat quarters of the colors but the black and white classic was my favorite. They don't have it anymore and I searched but couldn't find it. 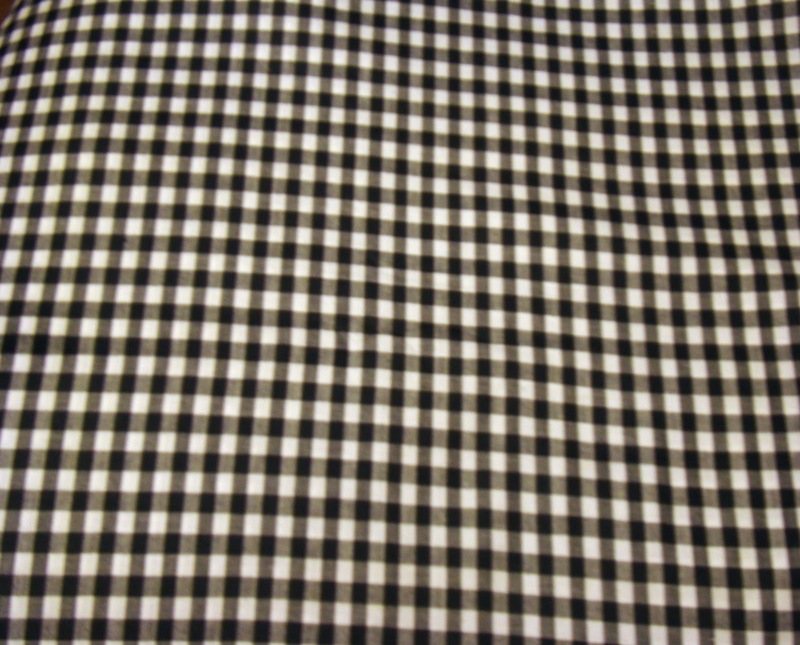 This nice Moda gingham is a close 2nd. 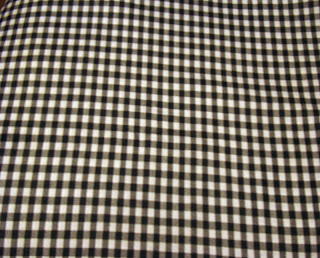 Checks look great in almost any quilt. 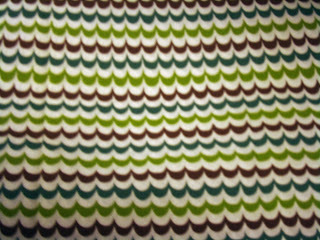 This Windam fabric (which reminds me of a Blank quilting fabric line from last year) is in my favorite shade of green with black and white. So so incredibly sweet and very 40s. This black would be a perfect border print. Kitchen drama. A bit on the more elegant side. 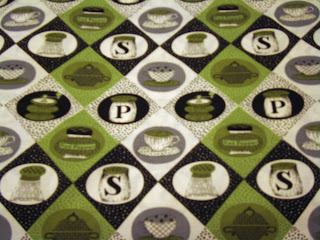 I like my kitchen fabrics more farm house kitchen but this hits my fabric spot anyway. 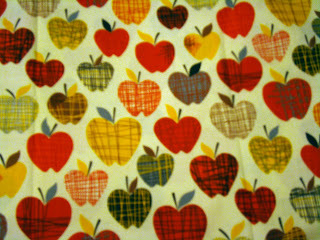 Hmm....my heart is still lingering back on those apples.....I've got to figure out a way to sew more. I was really excited to go pick up the first 5 quilts that were back from the quilter from our family retreat last month. 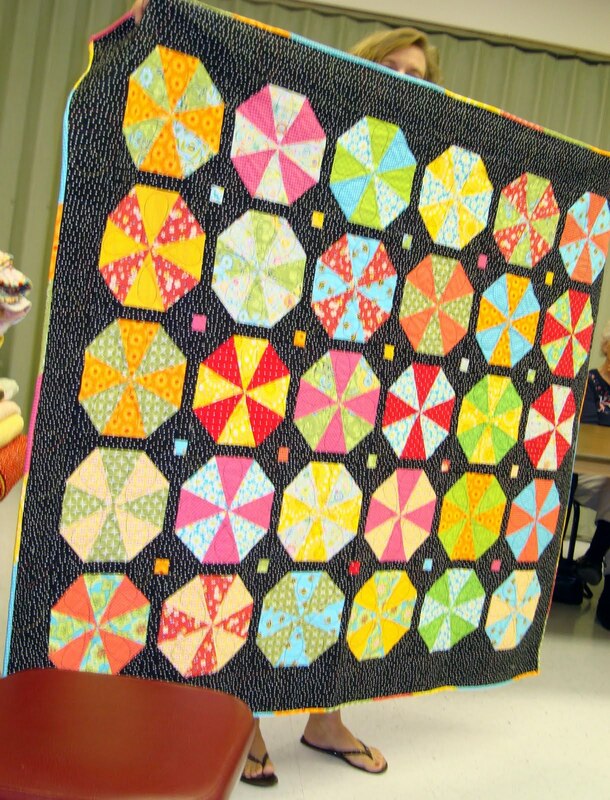 I'm still feeling so happy about the fun we had and it was so nice to get the quilts back and admire them. I stitched the binding to the front of the quilts and then hand stitched around one corner to get the girls a starting spot to finish up their little quilts. Now I just have to mail them off. This is my sister Michelle's quilt. I love it. 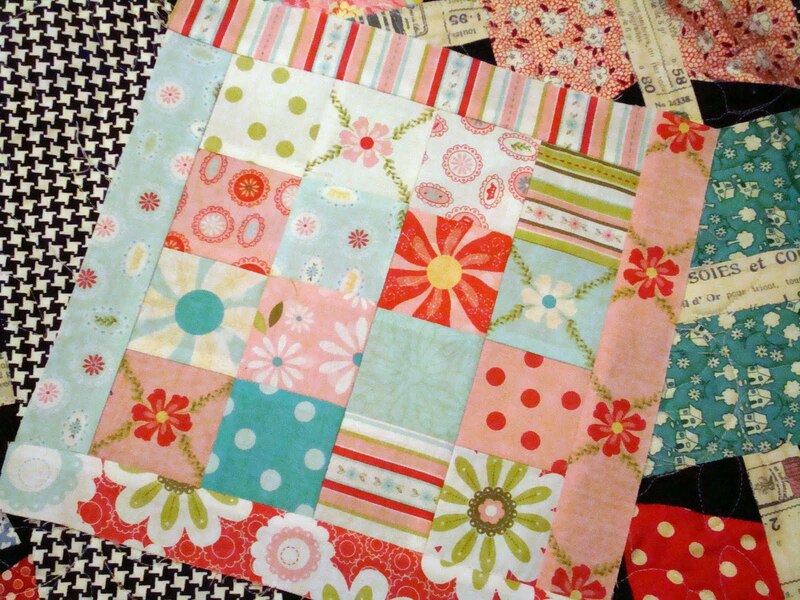 She used the jelly roll Fandango. 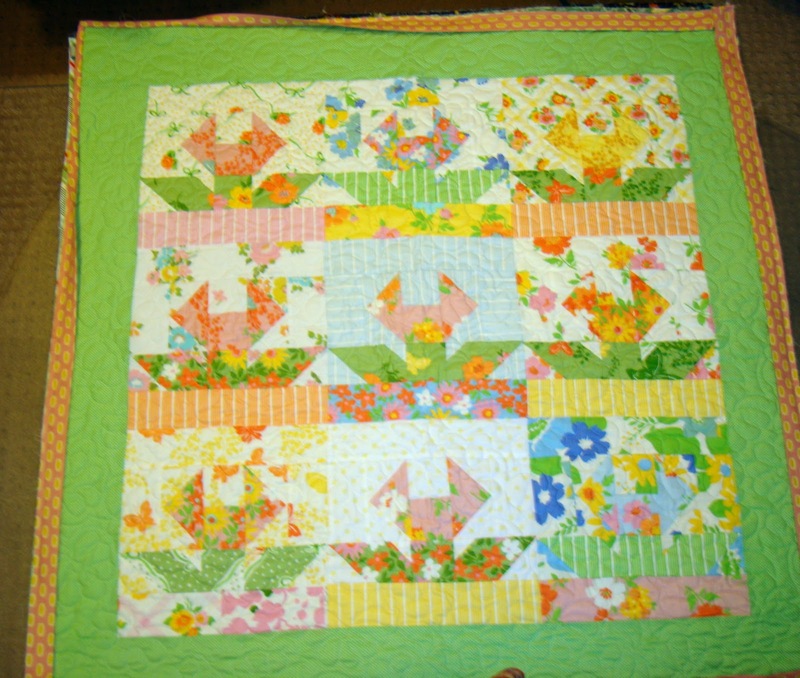 This is her daughter Jennifer's quilt. It turned out really cute. I don't remember which jelly roll Jen used. 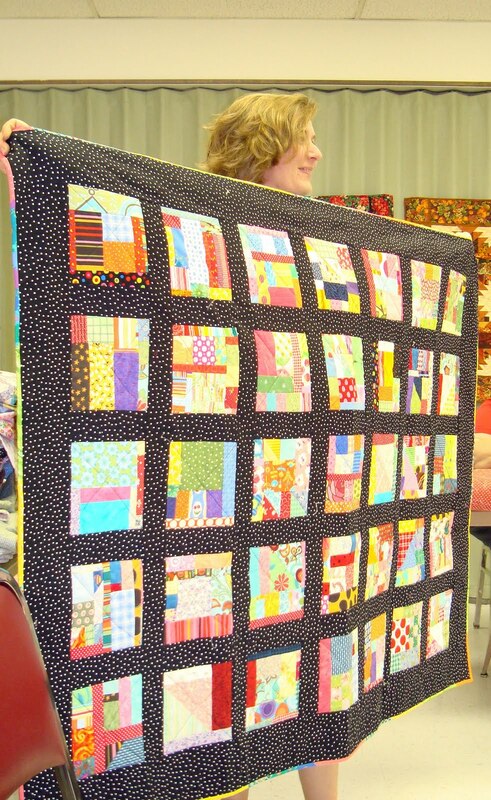 This is Michelle's daughter-in-law Melanie's quilt. I really want some of this Dream On fabric. 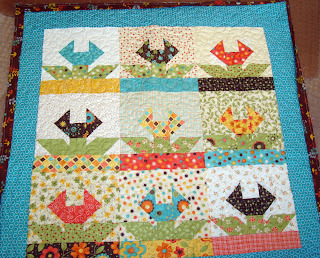 This is Michelle's other DIL Amber's quilt. It couldn't be cuter. I think she used the Frolic jelly roll. 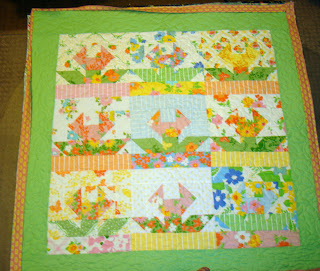 This is my sister Paula's daughter, Tricia's quilt. She used the same jelly roll as Amber. I love them both. It was all so much fun and it is great to see these quilts get finished. I know there are more to come.